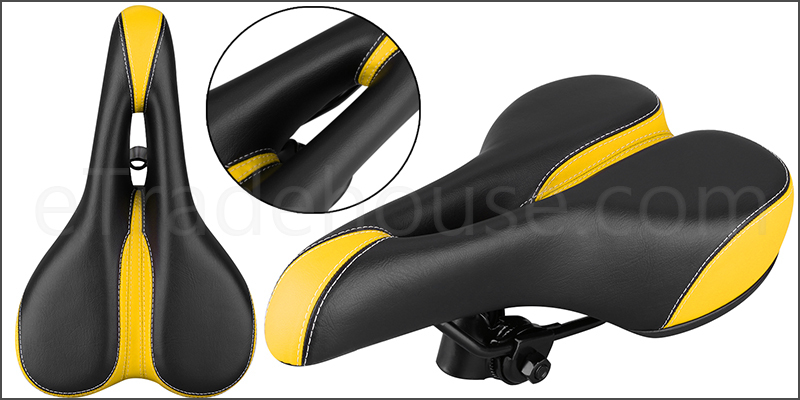 Bike Bicycle MTB Sporty Padded Saddle Seat. This sleek Saddle seat is great for those who love long and short bike rides. Precise Stitching for longer durability and style. Easy to install, simply place it on the post and tighten the bolts. This seat increases the comfort of your bike so that you can ride in greater comfort, on long trips. Suitable to any kind of bike including BMX, MTB, Hybrid,Road Bicycle, Mountain Bikes etc.